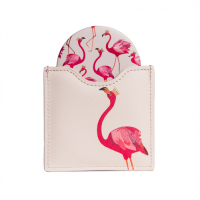 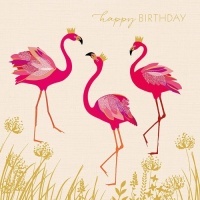 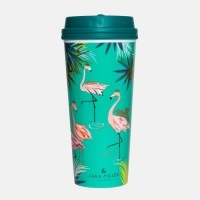 Gorgeous exotic flamingos on a vivid green background surrounded by tropical palms from the Tahiti Collection. 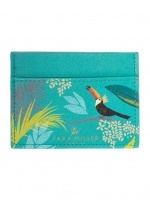 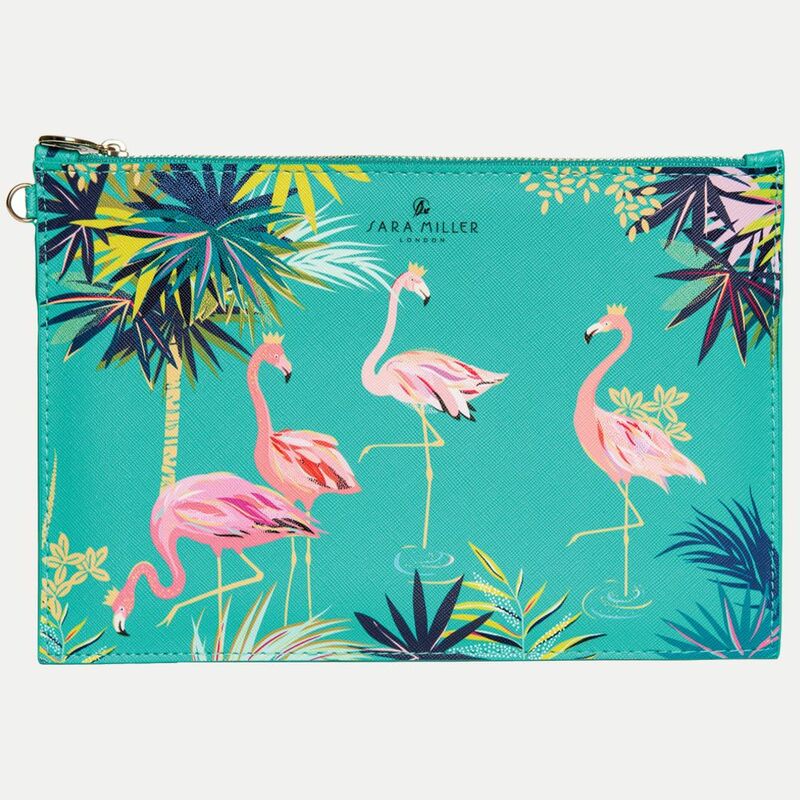 This stylish Sara Miller pouch is sure to be a must have accessory. 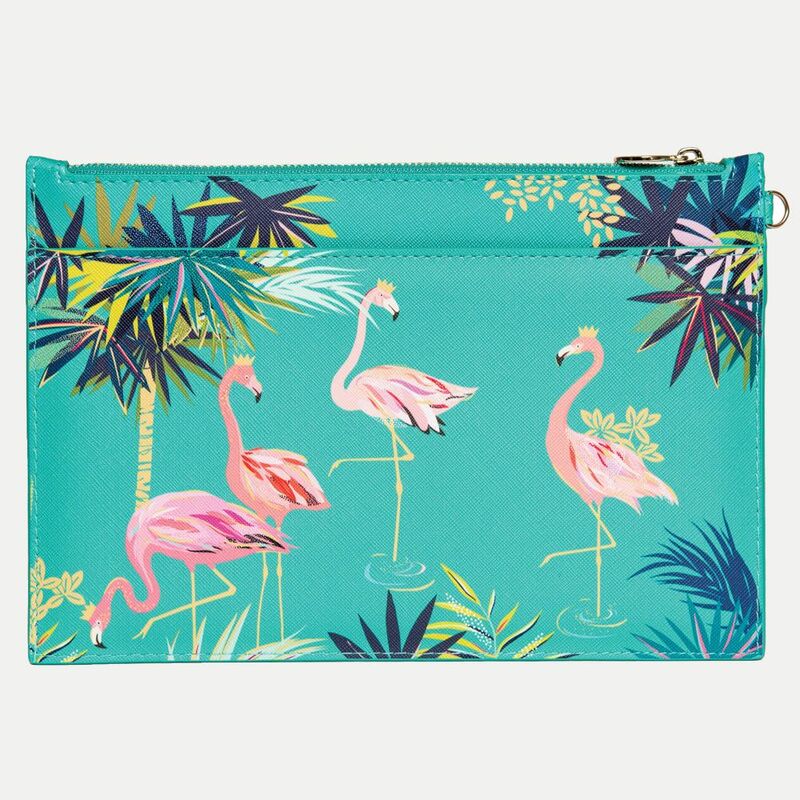 It’s the perfect place for you to store your accessories while you are out and or use in the evening to carry your essentials. 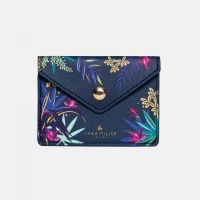 This pouch has a gold metal zip and embossed zip pull.